One of the most unique features that Infolinks rolled out with the new makeover this fall was the Facebook Connect sign-up option. It is the most convenient way to create an account and it’s now available for prospective Infolinks publishers. 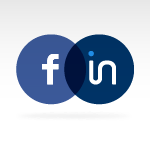 Simply sign up for Infolinks via your Facebook account. It requires less info for you to fill in and less time than our already super-fast process. One of the other amazing benefits of signing up to Infolinks via Facebook is the easy access you have to your personal Publisher Center from your Facebook account. Manage your network of websites on our platform, keep abreast of your earnings and reports and easily access our blog and other important updates while signed into Facebook. We know, we know, you’re already an Infolinks publisher! But this is great news for your Facebook friends who also have blogs and websites. Tis the season to be generous, so share this great news and fabulous new feature with your friends on Facebook.